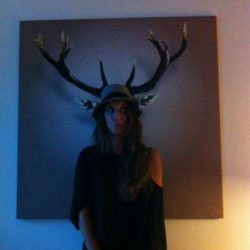 My name is Kathrin, I am the creator of Kinthewoods. I am married to Stefan and we have a little baby girl named Riley. With Kinthewoods I want to create a platform for the modern adventurer who loves to explore the world “beyond the ordinary”. I want to share my passion about everything beautiful, be it things or places. Touring the world as a backpacker in my earlier years, I am now trying to share that explorative spirit with my young family – though with a little less attention to budget and a little more attention to comfort and design. I am trying to curate everything based on my very personal taste and experience around a lifestyle of beautiful places, design objects, and stories – for everyone to enjoy. It doesn’t matter if you have kids or pets, what age or gender you are or what budget you have, there should be beautiful ideas and hints for all of you. I hope you enjoy! For any inquiries please message me at k@kinthewoods.com .